DRM LEGAL is a law firm with an office in Hamburg, Germany. It was founded in 2012 by attorney Dr. Florian Meyer. DRM LEGAL advises start-up and medium size companies (including Amazon FBA Sellers) from Germany and abroad in the fields of unfair competition as well as product law and media law. One focus of our legal work lies on a strategic consultancy in dealing with regulatory issues, health claims, warning letters, administrative complaints, criminal investigations and product crises. Please feel free to contact us! You will find us in the center of Hamburg City. Dr. Meyer was admitted to the bar in 2004. He studied in Hamburg, Lower Saxony and Freiburg and completed his doctorate on the topic health claims in Europe and the U.S.. 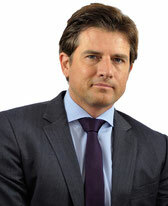 He is the author of a book on the European Health Claims Regulation and other specialized publications. Since 2006, he is also a speaker at the Food Law Academy at the University of Marburg, a member of the Scientific Advisory Board of the Marburg Research Centre for Food and Feed Law and a winner of the food law Prize 2005 (pmi Verlag). In addition, he is on the advisory board of the magazine Medical BEAUTY FORUM and mentor at the Food Tech Campus Berlin on food and data protection issues.